This March I’m going to continue with reading through the Bible, and judging from the 635 page views (as of today) I can see that other people must be reading along with me. It’s never too late to jump in with the current month, and if you’re anything like me you might get behind once in awhile. That’s okay, the word is faithful and true, and it is always waiting for us. 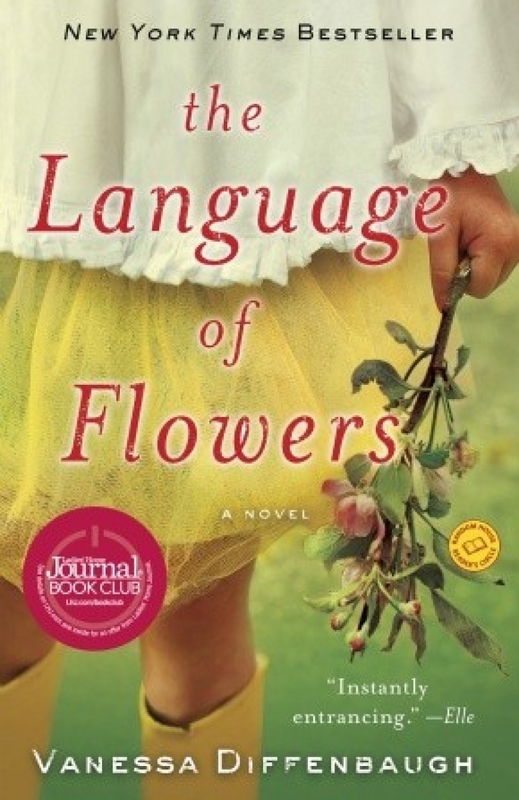 I’m eagerly waiting for my box holding 20 copies of The Language of Flowers by Vanessa Diffenbaugh for World Book Night. I didn’t know it when I chose it, but on the US World Book Night site I read that, “This book was a top recommendation in voting by last year’s book givers!” I can see why, as I’ve already read the first twenty pages at Institute Day on Friday, and I’m really excited about giving it away in April. After I read it this March. I’ve begun Let’s Pretend This Never Happened by Jenny Lawson for Berkley Books. I think I’m going to have a lot to say about this, so come back in a week or so to read my full review of this book written by The Bloggess. I’m hoping to read a few short stories for Irish Short Story month sponsored by Mel U at Reading Lives. 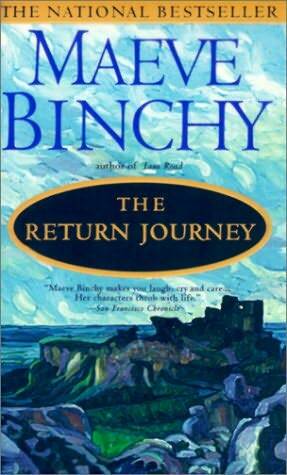 I have the ever popular Maeve Binchy’s collection, The Return Journey, but I’d like to read more Irish writers such as Anne Enright, Emma Donaghue, and even Oscar Wilde. 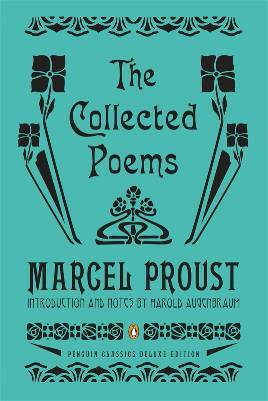 Penguin sent me The Collected Poems of Marcel Proust with an introduction and notes by Harold Augenbraum which I’m excited to read as a.) I’m never as good with poetry as Parrish Lantern is and b.) Arti of Ripple Effects and I are going to read Swann’s Way in April. Isn’t this a good way to get a taste of the feast to come? 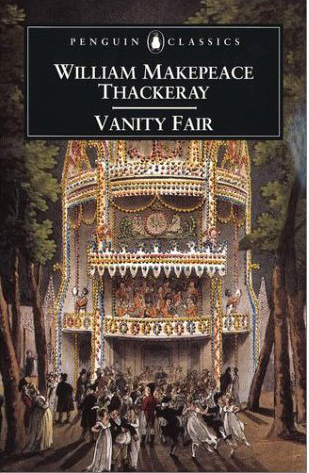 By March 15 I’m supposed to have read the first half of Vanity Fair by William Makepeace Thackeray for the read along with Trish and Melissa. I think I better stop blogging now and begin. Now that every title is laid out in this post, I’m feeling a bit daunted! Oh, no! Behind before I've begun! Okay, we'll, I'll finish it eventually, and get back to you lovely ladies. 😦 So sorry! Something tells me that you're going to have a lot to say about Let's Pretend This Never Happened. 🙂 The Language of Flowers is a really nice book. I can't wait to read your thoughts on that one too. Happy reading! Looks like you've a full plate. Marvel at the page views. Yes, def. 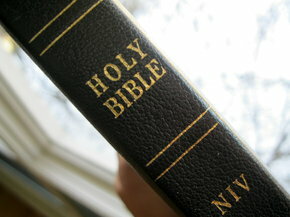 the Bible is a good read, just in time for the History Channel offering THE BIBLE 10 parts starting tonight. As you know, I'm finishing up Bonhoeffer March 15. And come April 15 will be our first Proust Read-Along post: In Search of Lost Time Vol. 1 Swann's Way, first half. Would you have time to join in? I am very interested in The Language of Flowers! Seeing as our house will be open soon for fostering, I think it will be a good one for me to read! My current read is Love Does. I think you would like it! I'll be giving The Language of Flowers away on World Book Night too. I can't wait! 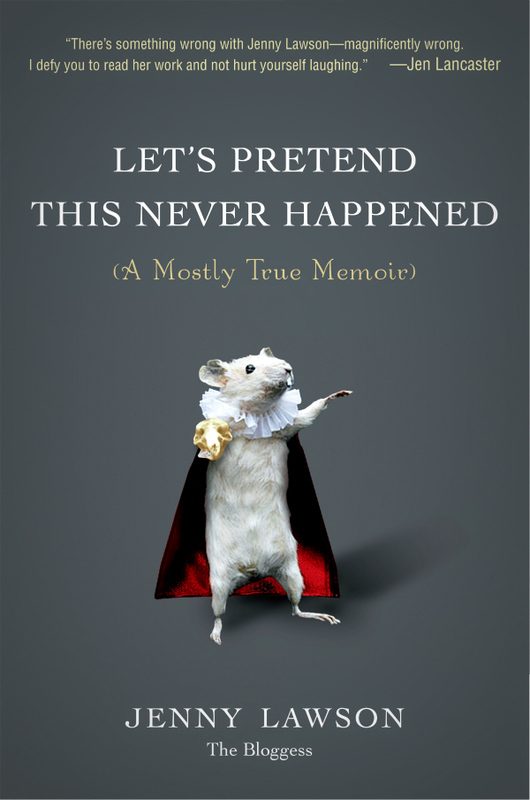 Let's pretend This Never Happened – has an adorable cover. Sounds like a food memoir. I don't read non-fiction ever. But I did end up reading Let's Pretend This Never Happened and I really really really liked it. It's actually a fun read. Bosh to your poetry comment Bellezza, you've introduced me to poetry in the past including this totally new to me book of poems from Proust – Will have to look this one up. Also will try to do something for Irish Lit & as you know my daughter & I will once again be doing something for World book Night(3rd time) also have to squeeze in some time for the International Foreign Fiction Prize shadow jury reading, so if you've any techniques for freezing time please fill free to tell me. I wish World Book Night happened in Australia. I really enjoyed both House Rules and Vanity Fair – the miniseries of Vanity Fair is also fantastic. Arti, I've been looking forward to reading Swann's Way with you for ages! Sara! Open for fostering! That just makes my heart sing, the way that your family will enrich some lucky child's life. What a blessing! That's so fun we're giving away the same book! I feel lucky to have one of my first choices, even though I haven't read it yet. An adorable cover for a book indecriminately filled with 'f word'. A food memoir? Maybe that would have thrilled me more. We'll have to talk when I finish and post my review. “Bosh to my poetry comment”, you crack me up! I'm so glad that you and your daughter can give books away together; in fact, I think your post about World Book Night first made me aware of the opportunity. The International Foreign Fiction Prize sounds so exciting! I can't wait to see what you write about that. As for freezing time? Let's work on a way to do that! Good luck with reading the Holy Bible Bellezza, can I offer you a glimpse of Jerusalem to supplement and provide some visual aid to the Holy Land? I'm anxious to hear your thoughts on The Language of Flowers, which has been a top seller in our store, as well as Let's Pretend This Never Happened, which everyone seems to say is the most hilarious memoir they've ever read. I also want to read something of Maeve Binchy's… I tried Light a Penny Candle many, many years ago, but couldn't get interested. Maybe I'll try something a little more current. 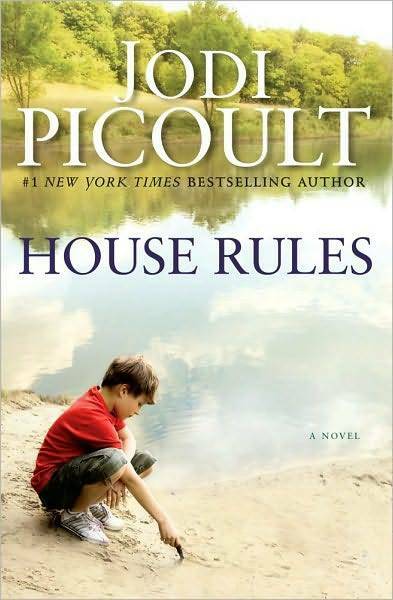 And Jodi Picoult! It's been a couple of years since I picked up one of her novels. I got burned out on her style, but this one sounds good. I also have Nineteen Minutes in my stacks. And her new one sounds quite good, too. Happy reading, dear friend! Hope you're still enjoying your snow. We had quite a storm the day before yesterday, but there was a lot of melting going on yesterday. 70 this coming Friday? !